Adasa apparently means ‘ten’ in Balinese — and it has earned its name: we give Villa Adasa top marks for style, comfort and service discretion, all of which this exquisitely designed and staffed villa delivers in spades. It is nigh-on impossible to find fault with this well-designed, high-spec villa. We did notice that the small passageway between the living and sleeping pavilions gets wet as water drips off the alang-alang roof. The owner is already set to remedy this minor irritation, however, with the addition of a glazed roof. A villa is nearing completion next door, but at the time of this review (Feb 2012), construction didn’t disturb our peace or detract one jot from our enjoyment. Thank you for a lovely, relaxing holiday in Bali. We thoroughly enjoyed Villa Adasa and your team were very accommodating and caring. The villa is one of the best we have stayed in - perfect location, beautiful premises, amazing service, all perfect. We thank you for caring for our family and making our trip so easy and so memorable. We stayed here for a week over New Year Eve and had a really wonderful time. The villa is perfect, every little detail is beautiful and functional and we immediately felt at home. The staff always kind and friendly, super attentive and made our stay enjoyable, easy and delightful. Simply perfect. Thank you so much, see you next time. Once again we had a magical time here. Had the best company and we loved the attentive detail from the magnificent staff. We are going home very well rested, just what the doctor ordered. Had a wonderful stay, thank you. The staff were very attentive, loved the design and cleanliness of the villa. Would definitely recommend it. Thank you for making every single experience we have had at this villa so enjoyable and positive. Every single staff member has been so caring and loving. We have created so many unforgettable memories in this villa and it has become a second home for us, so thank you. We wish you all the best of much for the future and hope to see you all again in the future. Thank you Juni, Gusti Made, Komang, Komang and of course Eka for the delicious food. Lots of love. Thank you to the beautiful team at Villa Adasa. We have had the most relaxing stay. Nothing at all was too much trouble for the staff. We have really enjoyed the pool area and the rooms are taken care of with attention and love. Thank you for dealing with baby Dion with such grace. We will definitely be back. We love Villa Adasa. Also the pool was beautiful. We have had the best time, an amazing and relaxed place to be. Such great and happy staff. We have made some fun memories have. Thank you. On behalf of Jhon and myself, we would love to thank Gusti, Made and Juni for making our stay so amazing. From the moment we arrived we were made to feel very welcomed. The staff were always so polite and professional. Nothing we asked was a problem. I would definitely stay here again, feels like home. Thank you for such a wonderful stay. The girls, Tristan and I have had such a relaxing and memorable time here at Villa Adasa. All the staff have been amazing, absolutely top notch, a credit to the villa and thank you for making it so wonderful. Especially Made, Gusti, Juni and Komang. On top of that the villa is perfect. Thank you. Thank you so much for having us. We had a lovely time. The staff and food were great. Thank you for a wonderful holiday. From the moment we stopped inside Villa Adasa we felt relaxed and officially on holiday. The staff have been so accommodating and helpful. The villa is so peaceful and tranquil and so very hard to leave. The location has been so perfect and we have been able to explore without having to deal with Bali traffic. Villa Adasa is a little oasis inside the bustling Seminyak and we will definitely be back to stay. Thank you for a wonderful holiday. Thank you Juni and staff for a very relaxing stay at Villa Adasa. We very much enjoyed ourselves and look forward to returning again. Villa Adasa was the location of my 50th birthday plus it lived up to expectations. Where does one start, the amazing staff, attentive to fault but never in the way, just perfect. The amazing villa, we had 4 adults plus children. It was magnificent and it served its job sensationally. I would certainly recommended the villa to anyone who is looking for a totally relaxing location. You won’t be disappointed. What a lovely stay at Villa Adasa. To all the staff here at the villa - a big thank you. You have all contributed greatly to making this a very relaxed luxurious stay for my family and I. Also, thank you for the help and support from the concierge service, very helpful Andra especially with the impact on travel due to the volcanic activities. Nothing was too much trouble. Thank you so much, I have loved staying here. You are some of the kindest people I have ever met. I’m was so happy staying at this villa. I’m so lucky that I stayed here. Wonderful staff, Thank you. You are sensational. Thank you so much Villa Adasa and beautiful staff. We have had the most beautiful time. Your villa is amazing and we have felt totally spoilt by your staff. Chef Eka presented us with beautiful breakfasts every day and other food when needed. I would like to thank Gusti - he looked after us at night always with cocktails and nibbles. Loved our manager Juni - always looking after us and making sure we had the best stay. We must not forget our beautiful Made and Komang - thank you. Thank you for all of you who made our experience in Bali so amazing and gorgeous. We will definitely be back. We had an incredible experience at Villa Adasa. This is the third place we have stayed in Indonesia on this trip and we have all commented on how it has felt the most like home. The villa is divine, the gentlemen who served us at the villa are so friendly and attentive and the location is so convenient, we will definitely be back. We had a wonderful time at Villa Adasa. The villa was so perfect full and comfortable - like a home away from home. The staff were always there to attend to us and made sure we had everything we wanted but at the same time they provided the right amount of privacy. The villa location was perfect for us to walk to all the restaurants and shops in Seminyak. We wish we could have stayed longer. We had such a lovely time in Villa Adasa. The staff were fantastic, catered to every need. Nothing was too much of a hassle. Always friendly, polite and discreet. The villa was gorgeous, the pool was the perfect temperature. Everything is decorated with beautiful style. The beds were comfortable and the air con was super effective. I would most definitely stay here again. Villa Adasa surpassed all of our expectations. The service that was provided by Juni and his staff was absolutely exceptional. The villa is an oasis from the hustle and bustle of the outside world. The rooms immaculate. The pool luxurious and the attention to detail by all of the staff was incredible. Thank you to all at Villa Adasa. What a wonderful place to stay, everything is amazing. I loved the bed and the bathroom was just perfect. The staff are so caring and professional. Thank you Juni, Gusti, Eka, Made and Komang - I will never forget you guys and this place. I hope one day I can come back here with my family and share this experience with them. I stayed in Villa Adasa for a week and it was one of the best experiences of my life. The villa was super clean and the staff were trained to satisfaction. I have never seen this kind of service anywhere else. Best management, best staff and best hospitality. Thank you for unforgettable anniversary. Villa Adasa has been a wonderful place for our family to unwind and enjoy the Bali experience with our family over a week long marriage celebration of two families. There is a magical, calm, inviting, warm holiday atmosphere. The staff here have been reflective of the experience at Villa Adasa. We hope to be lucky enough to enjoy this experience again one day in the future. Best wishes and thank you. Excellent staff, luxury villa, great location, highly recommend Villa Adasa. After 15 years of visiting and enjoying Bali few times a year, what a beautiful surprise to discover Villa Adasa. 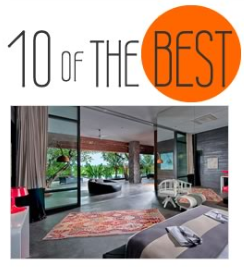 Not only for the charm of the villa, but also a very special mention for the staff. The team has been very professional, helpful and caring and contributed a lot to make this stay in Villa Adasa outstanding. We definitely want to come back. Our first time in Bali and it couldn’t have been better. We spent three wonderful weeks here in Bali and this lovely villa made it even more wonderful experience. Thanks to Made, Komang and Gusti for taking care of everything here in the villa. Thanks to Eka who prepared delicious meals and breakfast for us. And thanks to Juni who arranged tours and recommended excellent restaurants. Last but not least we had the best driver in Bali, Rama who took us too many lovely places on Bali. Today we have to go home, but we come back. And of course we stay here in the best - Villa Adasa. Villa Adasa has been the perfect holiday. This is the 3rd time that we have stayed here. We keep coming back because we love all of the amenities of the villa, as well as its beautiful decor and central location. But most of all, we love the villa staff. Juni, Gusti, Made, Komang and Eka made Adasa feel like our second home and why we will definitely be back. They are friendly, attentive and warm. They are like our Bali family to us. This is why we always recommend Adasa for any of our friends and family who travel to Bali. We can’t wait to come back to Adasa. See you in 2018. Thank you very much Villa Adasa. I have been to Bali over twenty times and have stayed in many different hotels and villas and in all honestly, Villa Adasa is the best place I ever stayed in Bali. Your staff are amazing. The best in whole the world! Nothing is to hard from remembering our names, our orders, handing us cold water and cool towels every time we walked through the doors. Look out for my trip advisor review. You deserve 5 stars all the way. Thank you for helping me celebrate my birthday with my gorgeous girlfriends in beautiful Bali. The service has been exemplary. The team here Juni, Komang, Gusti and Eka have been incredibly accommodating and we shall definitely return to our secret paradise. Thank you an amazing stay. The service was excellent, the villa simply beautiful. We had a great time celebrating our 30th here with you all. I will for sure planning a next holiday thorough Elite Havens. Missing you all the best and hoping to see you again soon. Since the first time, when I arrived the service was amazing. Every staff was very nice to me and made my stay in Villa Adasa wonderful. The food was very good and the rooms were always perfect. The toilet were clean and the towels were realy nice. The villa was also very beautiful and the decoration is really nice. However, what I liked the most is that every staff was really nice to me and were always smiling. I loved my time in here and I hope I’ll come back. The most attentive but impressive staff we have had. A great experience that we will take up again in the near future. Any request made was met with full expectation. Look forward to future holidays at Villa Adasa. Thanks Juni and staff. We have just enjoyed five night at Villa Adasa. Stunning décor and great staff. We will have wonderful memories and can’t speak highly enough of the attention we received from your amazing staff. Exceptional details including the vegemite for breakfast. Many thanks. We have traveled with a group of very good friends on many occasions, we have stayed in some very nice accommodation but this is one of the best. Spacious, light, clean with great staff. The pool area has plenty of sun biding with a clean, fresh pool and a small grass area to add character. The entertainment and dining area is comfortable and spacious. I would rate this as a 9.5/10, nothing is ever perfect. Thank you to the great people that work here, you have made this a very special week for us. Dear Juni and Villa Adasa team. Thank you for making our honeymoon stay so wonderful. All our friends were so impressed with the villa and the amazing service. Doing my washing and making me egg benedict was particularly appreciated. We look forward to returning! Thank you for a prefect holiday at Villa Adasa. 10/10! The villa is beautiful, clean, decorated in a wonderful style and in a perfect location. We loved the design of Villa Adasa. The staff are fantastic - very friendly and do a wonderful job of looking after the guests. Nothing was too much trouble. We will return to Australia relaxed and happy. Thank you Villa Adasa team. Scarlet says she favorite thing is the friendly staff and lovely villa design. Shaun says I loved the way the staff make me feel welcome. Orlando says I like the food. Mel says I love Mie goring. Lovely outdoor bathroom and beautiful pool. Thanks again. Thanks to all at Villa Adasa. Has a fantastic time. All the staff were wonderful. We will see you again soon. Dear Juni, Made, Komang, Gusti, Yudha and Chef Eka. We cannot thank you enough for an absolutely fantastic holiday at Villa Adasa. Our family holiday in Bali has been so relaxing and enjoyable. Love to you all and to the beautiful people on this beautiful island. Great service and great food. We loved it and we will be back soon. We have had the most amazing time. Thank you so much for your service, generosity, smiles, absolutely for everything. It was a real privilege for us to stay here. Our first ever holiday as a family. Thank you. We absolutely loved our stay here at the Adasa. Such a beautiful, luxurious villa. All of the staff are so thoughtful and make the Adasa perfect place to stay. The staff went over and beyond their duties and we appreciate everything greatly. The whole villa was clean and beautiful all of the time and nothing was too much trouble. We can’t thank you all enough. You are the most dedicated people we have ever met. Loved this place. Villa Adasa is beautiful, feeling very nature and relaxed. Hope to return soon. We had an outstanding stay at Villa Adasa. Excellent reception and services. Thank you very much for all. Thank you very much to Pak Juni, Gusti, Yudha for making our trip so memorable. For your kindness and professional service. We would recommend this Villa Adasa to all our friends because of your service. The Villa is in such good condition, very clean and beautiful. Sorry for the loud music we played, but management and staff was always so accommodating and helpful. The food so delicious. Breakfast is wonderful and again Pak Juni, Gusti and Yudha amazing staff. Thanks for everything. Nice villa, neat, clean. Great service. Good staff, friendly. Safe. Overall excellent experience. Will come back. It was a really nice experience! And it is something we will remember. The food was really good. We here had a wonderful stay in Bali for the past 6 days and the best of our stay was the villa! Pak Juni, Yuda, Made, Gusti, Nyuman and Komang were the best! They looked after us so well and saw to everything. Thank you so much. We will definitely be back. Thank you again. To the amazing team at Villa Adasa - Juni,Made,Gusti, Yudha, Komang. Thank you all so much for the wonderful service (every minute of the day) and for always greeting us with your friendly smiles. We will miss being offered a fresh bottle of water and cold face towel every time we come home. This has truly been a home away from home thanks to you. The villa is absolutely beautiful and clean and kept so neat. Our breakfast were so delicious! We loved the Mie and Nasi goring! The team at Villa Adasa are a fantastic asset and we look forward to seeing you (for my third time to Adasa) in the near future. We will share our fantastic experience here with all of our family and friends in Melbourne! Love always. What an amazing experience. We absolutely loved our stay at Villa Adasa. Juni and his team were fantastic and went above and beyond. Nothing was too much trouble. It was our daughter 9th birthday the day we arrived at the villa and it was decorated beautiful. Thank you so much for making this a very memorable holiday. Thank you to all the wonderful staff at Villa Adasa for making our stay so welcomed and comfortable. Your warm and friendly manner was such a health of fresh air. And the villa was kept immaculately. We also loved the architecture / design and decor and attention to stylish detail. I would have to say it is a delight to stay here. In 29th Jan, I went to Villa Adasa. I first saw it: WOW! That's wonderful! In second days, I eat the first breakfast, so delicious! I swim in the swimming pool. Interesting!! My little brother with his mother have a good time. My family with me have a good tome too! Anyway, this is a right place to vacation and enjoy! So, it's an excellent place!. We have loved staying here! The staff was amazing, very helpful. The best holiday ever! Villa Adasa was a nice place to stay. The butlers helping us with our needs and cooking for us. The service was good and I really enjoyed myself. If any of my friends would want to come to Bali, I would recommend this place to them. We here had an excellent experience here in the last few days. The service had of the staff is exemplary. The staff have been polite, respectful and obliging. They have been good and always served on time. The place is clean and well maintained. Certainly worth another visit and also to recommended to friends and relations. We enjoy our stay at AdasaVilla. The villa is well maintain, clean and cozy. Villa Adasa - thank you so much for the incredible stay. Such a beautiful magical villa. Love you all. You guys are the best. Thank you for everything and can't wait to come back. Such a great experience at Villa Adasa. The staff were extremely friendly and helpful. Such lovely people. Amazing location – the perfect relaxing holiday. Will definitely be coming back very soon!! Dear Adasa team - you are all fantastic, fabulous. We will be back. Thank you to the team at Villa Adasa for a relaxing and carefree week. All of our needs were met with great, smiling service – even toast and coffee at 05:30 AM. Really thoughtful design and comfortable completed the mix. Villa Adasa is my favorite villa in this group of villas on this lane. Hope to see you again one day. Thank you so much for making our holiday so special. You are all fantastic. Food, service and smiles are always amazing. This is our 3rd stay at Adasa. Juni, Gusti, Yudha, Made and Komang - the villa is so beautiful with beautiful staff looking after it. Thank you for making delicious food and the worlds best spaghetti bolognese. I will miss staying here but hopefully will be back next year. We have been to Bali many times. This was by for the best holiday. We here ever had. Everything was superb. Staff excellent!!. Thank you so much. We will be back. We feel very sad to be leaving but very lucky to have spent some time at Villa Adasa. The service was absolutely perfect. Everyone was so friendly and accommodating. Can’t wait to come back next year for another holiday. Thank you so much. Juni and all the team thank you so much for taking such good care of us on Villa Adasa. You are been wonderful hosts, extremely patient, helpful and hospitable. An amazing holiday. What a fabulous start to our Bali journey. The villa is beautiful, however, it’s been the staff which has really set Adasa apart from other villa experiences. The team here are exceptional!. Thank you. Juni and all the lovely staff. Thank you all for our lovely stay. I love Villa Adasa. Staff is nice and the best!!. Thanks for everything. Great! This has been our 3rd family holiday here and we enjoy each stay more than the last. We feel that the staff are our friends as they look after us so well. The food is the best!!!. Thank you Nyoman. We will return soon to see Juni and his wonderful team. Once again we have absolutely loved loved our stay at villa Adasa. The villa team make it the best experience in Bali. Juni, Made, Gusti, Komang, Yudha, Nyoman and Bella are the kindest, warmest staff in the world…according to my 7 year old son, he loves their cooking, especially the burger and getting to feed the fish. The villa is one of the best places on earth! Our family has been to Bali many times but our stay at Villa Adasa has been one of the best and most relaxing. The villa is beautiful, spotless and in a great location, and the staff are the most amazing team we have ever had in Bali. Each of them was fantastic, our children loved them and we are very sad to leave them. We can’t wait until the next time. Thank you Team Adasa! The getaway was just what we needed and you ensured that all was well taken care of from the start until the end. The surroundings were stunning. Thank you for helping to make my two year old feel safe with the pool fence and car seat. He loved feeding the fish every morning as well. Your recommendations for dinner were fantastic and we enjoyed every meal. Included Republic 45, Starfish, Saigon Street and Sister Fields. Drinks at Breezes was a highlight as it was so calm and serene. Thank you for everything I can’t wait to return. This is a surprise trip. Although we are not proficient in English, everyone is having a good time of communication. Beautiful environment, good service every time, let us feel very happy to make the trip. Every night in the downstairs lazy lying down, enjoy quiet and comfortable. Thanks for recommendations and Adasa team. Thank you. This is my second stay at Villa Adasa with a group of girlfriends. With so many villas in Bali it is difficult to choose. We decided to return to Villa Adasa due to the exceptional service provided by Juni and his team. They did not disappoint, making us feel welcome from the moment we arrived. The in-villa dining provided by Chef Nyoman was excellent, convenient and affordable. We loved returning to the villa after a day hitting the Seminyak shops to be greeted by the staff with warm smiles, cold towels and water. Seamless service to the highest standard. We love Elite Havens villas and this is no exception. We were looking for luxury, fully staffed, quiet (yet in a great location in the heart of Seminyak). This villa ticks all those boxes. Staff is nothing short of excellent, food is delicious, and the villa is beautiful. It is set back from the main road just enough (but still only 2 streets back) to not hear all the traffic and chaos. I would highly recommend this villa (and all Elite Havens properties from my experience) to anyone. The service provided by the villa staff was exceptional and it was the perfect choice for a relaxing, luxurious get away. Great location, close to shosp and restaurants. A magnificent tranquil haven in the middle of the crazy hustle and bustle of Bali. After a fun day out, we all looked forward to returning to our little piece of heaven. Everything about Villa Adasa is absolutely perfect – the decor, the wonderful staff, the food and the facilities – we wouldn’t charge a thing! We’ll be back. Thank you to the incredible staff of Villa Adasa for making our stay absolutely fantastic. Bali has never been a holiday destination for us till now – my niece planned a wedding in Bali! So here we were. I am not a fan of the heat and the humidity so we ventured here to Villa Adasa with some trepidation. Yes the humidity and heat is still present. But with the peaceful, quiet and beautiful modern finishes of the villa, the accessible, private swimming pool (2 step away from our bedroom) together with the attractive and very polite staff answering to all our requests - it has amounted to a surprisingly good 5 day away trip. I would happily recommend Villa Adasa and practically everything in Seminyak, it has been a relaxing and memorable trip!! The attention to detail that the staff show to the property and to the guests is unbelievable!! Thank you for a great stay! Best wishes. Wonderful villa! Great staff! Thanks to Juni and all his team for making our holiday so easy. The whole family had a great time. Thank you once again. We loved staying at Villa Adasa! What a beautiful, modern,stylist place to stay. The staff were always warm, friendly and helpful.Very professional and made our stay very enjoyable. We were worried about Nyepi day, but we had such a relaxing day. Drinks by the pool, cards and amazing in villa Indonesian dinner. Thoroughly enjoyed our stay and will recommend Adasa to anyone looking fora fantastic villa experience. Thank you Villa Adasa. Our third time back and loved every minute of our stay here. Juni and all the staff are the best in the business. Always pleasant, happy and ready to always please. We love coming to Adasa and can't wait to return again!. Thank you Juni and an the beautiful staff at Villa Adasa. Staying at Villa Adasa has been amazing. There was great service and overall fab experience. I would definitely come back!! Thank you very much, we really enjoyed stay! Our stay at Villa Adasa has been blissful. From the moment we arrived, greeted by our amazing team of friendly and caring staff. We have been blown away by the whole experience, beautiful design and styling make the villa a luxurious that to stay in. Juni and his team have made us very much at home, their caring nature and fabulous food made this a truly unforgettable experience. We will be back. Thank you. I really enjoyed Villa Adasa - I think your villa manager there is very good. The service etc is top notch. Thank you to all the staff at Villa Adasa. Cheerful, efficient and helpful!! The villa itself wasa great place for family of6 to get together, relax and do nothing. We are going back home brownest, fatter, more well rested and happier! Thank you for the lovely stay and such wonderful and kind service. We would definitely stay at Villa Adasa again!!! Charming villa in great location & the staff that made our stay a memorable one. Nothing was too much trouble always with a smile on their faces. Juni and his team are wonderful. We can't wait to come back. Thank you to the wonderful team who run Villa Adasa so beautifully!! Juni, Arya, Gusti, Komang, Yuda and Nyoman the fantastic chef!! We honestly love staying here and coming back to return and will be counting the days! This beautiful villa is Paradise! Patrick, Ame, Paddy, Camilla, Robbie and Wyatt. My family and I spent 1 week of our holiday in Villa Adasa. From the minute we arrived until the day we left, we experienced a most warm, wonderful, relaxing time. The villa, the pool, the gardens were all very nicely and thoughtfully done. The most memorable thing was that my son swam here for the first time without floaters. But the most important of all elements in the villa was the staff. Pak Juni, Pak Komang, Pak Arya, and everyone were most warm, helpful and welcoming. They kept everything in the villa impeccable. Last but not least, the location of Villa Adasa is truly gem. Within walking distance to so many restaurant and shops, we were happy to be able to walk and not be dependent on transportation. Thank you to the wonderful staff of Villa Adasa for making our stay here feel like home. From the moment we stepped into Villa Adasa, we were welcomed by the smiling face of the wonderful staff and amazed by the beauty, tranquility of the villa. Celebrating my birthday in Bali with my family has been success and all the lovely Villa Adasa family made sure my day was special,with a huge cake and fabulous singing !! Thanks for everything you are truly a lovely bunch of people. Keep smiling, keep up the great service. We thoroughly enjoyed our stay in this gorgeous villa! The service was wonderful and the place felt very much like home during our stay.We definitely hope to be back !! Spectacular! From the moment we walked thorough the doors we know this was going to be a rare treat - we were not disappointed! Such wonderful staff, with warm hearts and engaging smiles. Service and cuisine was amazing, no request was too much trouble. We look forward to returning to Villa Adasa, our own private OASIS! Thank you to the incredible team at Villa Asada. A seamless holiday and stay from beginning to the very end. We look for ward to seeing you all again soon. We have been coming to Bali for many many years and have stayed in a huge variety of accommodation. But our stay here at Villa Adasa has been outstanding the best ever! The villa itself is faultless in all ways. Beautiful decor, excellent facilities, the staff are so extremely polite,helpful in any way. Nothing was to much trouble for them. The best service ever too!. The position of the villa is close to everything. All up it has been a supremely relaxing and beautiful stay here. All the staff should be externally proud of themself, they made the stay so easy and fulfilling. We hope to come back soon! Our sincere thanks to everyone at Villa Adasa! P.S: The food is fabulous!! Our stay at Villa Adasa was nothing but perfect. All of our needs were met - accommodation, friendly and easy going staff... Nothing was too much trouble. We shared an in house BBQ sea food dinner with our friends and what a fabulous evening.....fabulous food, creatively presented all in beautiful setting. Thank you for making our stay so memorable. Thanks for a lovely stay! The place and the service has been exceptional and it is defiantly not our last time at Villa Adasa. Best Place Eva!! We were here 5 days and loved being beside the beach and the ice cream shop!. The fish were cool too. My brother called one banana and I named three bob, red foo and Daniella. They were very nosy. Every day we could play in the pool and than relax in the day beds eating mentos. There's a cool Mexican restaurant around the corner and I ate a soft taco. Staff are cool - I want to be a chef when i grow up. See ya! We absolutely loved everything about Villa Adasa.... the design, comfort, cleanliness,and location couldn't be better. Most of all the staff were fantastic. We will definitely be back here again soon. I won't hesitate to recommend staying here to anyone coming to Bali. Thank for having us. The Harding Family. Dear Villa Adasa staff, on behalf of my brother and I, Thank you very very much for your fantastic attention and service!. The manager Juni was very efficient, the butlers very accommodating and the chef Nyoman kept us all (our parents included) full of delicious food. Loved the private staff and pool, the amenities (the 'off' mosquito repellent was a great touch) and all the help rendered. This was our first time here, and hopefully won't be our last!. Warmest wishes. We have had the most wonderful time. Thank you to the beautiful time of people that have been so attentive to our needs......... 10/10 just an ADASA means! We have already booked to come back next April 2016. The design layout and furnishing are just prefect, beautiful, great taste.Thank you Juni and team. We fell in love. Awesome service (so nice and accommodating), magnificent food, And we really want too come back. Zappers worked and we got no mozi bites. Interior and exterior was perfect. Nothing we would change. no complaints. Thank you so much for this great experience! We have all had so much fun here and all wish that we could stay for longer. Once again thank you! Amazing 3 night stay with our family. Villa was beautifully appointed with everything we could want or need. The staff were amazing, attentive, friendly, professional but not at all intrusive. The meals were all delicious and prepared as requested. We are planning our next trip back to Villa Adasa and can't recommend it enough. If you are looking for an amazing Bali experience than Villa Adasa is the answer. The pool is amazing. Perfect temperature and depth. Great, intimate but spacious enough villa for a small group of friends or family. Location is fantastic. Villa Adasa- Exceeded all my expectations a wonderful place to escape for a family holiday,so central to everything we could walk everywhere. The staff we so accommodating in everyway but never intruded on you it was like they were never there 10/10 for staff. Once again our stay at Villa Adasa was nothing less than perfect. The Villa is a beautiful space but what really sets it apart is the Staff. It was great to see the same Staff still in control and tending to your every need, once again a big thank you to Juni, Gusti, and all the staff that make it so special. Thank you for making our first family holiday in Bali such a pleasurable one. The staff and facilities at Villa Adasa, Seminyak, were wonderful and I cannot speak highly enough of the staff. We love Villa Adasa, this is our second consecutive year staying at Adasa. 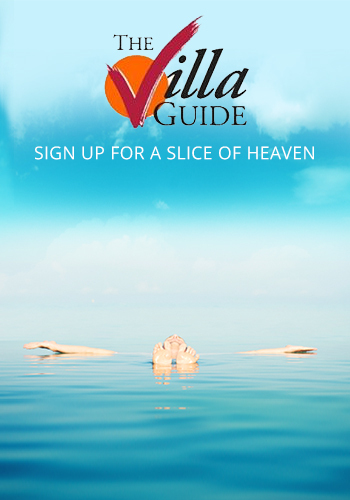 The staff are fabulous, the location is amazing, and the feel of the Villa is very special. Breakfast was always delicious, and beautifully presented. We will definitely be back!! Thanks to Juni and all the wonderful staff for looking after us so well. Villa Adasa is a piece of heaven. The villa is beautifully decorated and comfortable. The entire staff is amazing: very professional, always available for any need or wish. Wow, stunning Villa. Great position, only short stroll down to Bodyworks/ boat sheds. Well appointed bedrooms with master upstairs. Beautiful open air living/dining area fabulously furnished and decorated. Staff exceptional could not have helped and made us anymore comfortable. We arrived to a wonderful welcome and the staff took great care in looking after us and anything we required at any time day or night. The Villa itself was very impressive and clean, the pool and all the facilities could not be faulted. There would be no hesitation in returning to stay at Villa Adasa and we think we just might make this a yearly break. It was certainly a stress free environment managed by the staff without being obtrusive but around for any assistance we may have needed. Beautiful villa with all commodity. Lovely staff. My partner and our four daughters had an amazing holiday in the gorgeous Villa Adasa. As young ladies they felt safe, relaxed and comfortable with the staff and the amenities. There was nothing too difficult for the staff ie even an amazing sucklng pig lunch !!!!! We go to Bali yearly and always stay in a nearby resort, not anymore Villa Adasa is a perfect place to enjoy a holiday. We loved everything !!!!!!!! Villa Adasa is one of those rare Gems that actually looks even more beautiful when you arrive than in the pictures on the website, not many Villas usually achieve this. In addition to this the staff at Villa Adasa make you feel at home from the minute you arrive, kind curteous and great with the kids. Fabulous holiday in Villa Adasa, just loved our 12 days/nights, so home-like and staff are second-to-none. Words cannot describe. Beautiful Villa and attentive staffs. This was our 2nd time at Adasa and it won't be our last. It was great to be greeted by the same staff as last year. Juni and his staff were absolutely fantastic again and nothing was a problem. They were very helpful, anything we needed they arranged,we didn't have to lift a finger. We stayed here last year with some friends who loved so much there've booked to stay this November. The new couple we came with this year absolutely loved it and want to come back with us next year. Beautiful Villa in the heart of Seminyak! The staff are lovely and the surrounds are beautiful. The food is also fantastic!! Villa Adasa is paradise. From the moment you enter you will be in awe. The facilities are second to none. The rooms immaculate. The pool luxurious. An oasis from the hustle and bustle of the outside world. The staff with Junni in charge are fantastic. They made you feel so welcome and nothing was too much trouble for them to organise. They were energetic and full of enthusiasm yet in the background enough so that you didn't feel overwhelmed. Nyoman the master chef served the best breakfast, lunch and dinners. His ribs although not on the menu are exceptional. Will definitely stay here again. based on 126 user reviews. I’m moving in! Put it another way, I don’t want to leave Villa Adasa, ever. Within moments of our arrival, the sounds of the gamelan gave way to early Dylan rasping from the Sonos sound system. How did they KNOW he’s this reviewer’s all-time favourite? Mind-reading was clearly second nature for Villa Adasa’s staff, who seemed to know what we wanted before we did, but were just as adept at giving us complete privacy when that was called for too. While this is a great villa for a family as well as for friends/couples sharing, Villa Adasa manages to achieve a rare intimacy that would make it equally appealing to a couple looking to splurge on space. Villa Adasa delights 24/7. Daytime, we were faced with the taxing decision of whether to dive into an ocean of colourful cushions carpeting the double bale (gazebo), relax on the loungers by the pool, strip to bare essentials on the sun-deck above, or remain supine on the myriad sofas in the living pavilion. At sundown it was no contest; the best place to soak up Bali’s famous purple-hued sunset was from the loveseat on the master bedroom loggia. The night-time atmosphere at Villa Adasa is charming, thanks to its clever ambient lighting and comfortable living area. So dining presented us with an equally weighty dilemma: Do we select from the excellent menu and have our accomplished villa chef whip up a five-course meal or seafood barbecue for us, or do we wander out and take our pick from the many world-class restaurants within moments of the villa? We loved hanging out in the huge master bedroom suite and enjoyed the best night’s sleep thanks to a fabulously comfy bed, luxury goose-down duvet and pillows and high thread-count cotton sateen bed linen. The Sonos music system was swish, and being able to control it from our phone and laptop was pretty cool. And it was heaven having such a wonderful library of coffee table books and glossy magazines to browse. All in all, staying here was like breathing pure oxygen — I was on a permanent health-inducing ‘high’ throughout our all-too-short-stay.